Jabhat al-Nusra: History, Capabilities, Role In Syrian War 5 out of 5 based on 4 ratings. 4 user reviews. On January 23, 2012, Abu Muhammad al-Julani officially announced the establishment of the “Al-Nusra Front for the People of Al-Sham” and small groups began to carry out terrorist acts against civilians, attacked the Syrian Arab Army (SAA) and later began conducting clashes along with the Free Syrian Army (FSA) and ISIS. On July 19, 2012, Jabhat al-Nusra participated in the attack on Aleppo city along with groups of the FSA, the most important of which was the “Northern Storm Regiment”. Within days they managed to capture the eastern area of Aleppo. Later, Jabhat Al-Nusra’s influence expanded. At one point al-Nusra became the sole ruler of opposition-controlled Aleppo, especially after large numbers of the FSA jointed its ranks by the end of 2012 and after it took ISIS out of the city in 2014. At the beginning of 2014 with the escalation of ISIS influence in Iraq, al-Nusra began to reduce its presence in Deir-ez-Zor city. After some minor clashes, most of al-Nusra’s fighters withdrew from Deir-Ez-Zour to Aleppo and Idlib, while large numbers of al-Nusra foreign militants joined ISIS. After the great advance of the SAA in Aleppo and its success in besieging the eastern districts, Abu Muhammad al-Julani announced on July 28, 2016, the official disengagement of al-Nusra from al-Qaeda and announced the formation of the Jabhat Fatah al-Sham. He stressed that the objectives of the al-Sham Front are the same as those of Jabhat al-Nusra, which is the establishment of an Islamic Caliphate in Syria. In an ironic twist, al-Qaeda leader “Ayman al-Zawahiri” praised al-Julani’s decision and declared his support for the Jabhat Fatah al-Sham, prompting everyone, including the United States, to consider the move as a formality. The Jabhat Fatah al-Sham maintained its terrorist classification in all countries, including the United States, Saudi Arabia and Russia. On October 28, 2016, Jabhat al-Nusra with its allies from the Free Syrian Army launched a large counterattack south and west of Aleppo city to break the siege of the SAA in the eastern districts; however, the attack failed two weeks later when Jabhat Fatah al-Sham could not hold the points it had taken over. On 28 January 2017, Jabhat al-Nusra changed its name once again, this time to Hayat Tahrir al-Sham (HTS). On March 21, 2017, it launched the offensive of the northern Hama countryside along with the FSA factions supported by the CIA, most notably are Jaish al-Izza, Jaish al-Nasr and the Idlib Free Army. These were considered the most important allies of Jabhat al-Nusra in Idlib and a major source of its weapons. The aim of Hayat Tahrir al-Sham’s advance was to recapture the settlements it lost in 2016. The active phase of fighting continued until the end of April 2017. For more than a month, neither side had a decisive advantage, and in fact, prolonged fights began, during which a number of settlements repeatedly changed hands. On September 19, 2017 HTS, along with the units of the Turkestan Islamic Party and the FSA, once again made an attempt to advance on the position of the SAA in the northern part of the province of Hama.. The aim of HTS was to take revenge for their defeat in the April 2017 offensive. While fighting went back and forth, with settlements being occupied by both sides several times, the struggle continued until the end of September and ended in a stalemate, with neither side able of winning a convincing victory, with each side remaining in their original positions. As time went on, the situation in the province was further complicated by the appearance of the IS militants in early October 2017, as a result of which armed conflict erupted between all opposition groups in the region, which continues at varying degrees of intensity to this day. In fact, since its inception, Jabhat al-Nusra / HTS was a coalition of armed formations.As a result of the rebranding conducted in January 2017, HTS includes such groups as “Jabhat Ansar al-Din”, “Nur al-Din al-Zenki”, “Liwa al-Haqq”, and “Jaysh al-Sunna” . According to information from the organization’s website, the new formation also includes groups: Tawhid Wal-Jihad, Ar-Rashid, Ibn Taimiyya, Liva Abbas, Sukur al-Izz, Al-Sahabat, Kuwafal Shuhada, Usud al-Harb, Liva Ahrar al-Jabal and others. Several large groups withdrew from the Ahrar al-Sham and swore allegiance to Hayat Tahrir al-Sham : Surya al-Aqsa, Liva Ahrar al-Jabal, Ansar Homs, and Kurdish paramilitary groups which together comprised of more than five thousand soldiers. The process of breaking and mending relations is constant and there is an alternate structure of the movement as of April 2017. The movement actively recruits groups of militants, formed on the basis of national and religious grounds. There are units of militants from Ajnadal-Kavkaz, Caucasus Emirate (natives of Chechnya), and the Turkistan Islamic Party in Syria (Uyghurs and natives of the Central Asian countries of the former USSR). From a military point of view, this is convenient for management and interaction, since there is no language barrier between the fighters and the commanders. Upon returning to their host country, such a detachment is practically a ready-made cell with combat experience, in which each member knows one another, trusts his commander and is ready to act in the interests of the parent organization. Western experts estimate that in less than 2 years of its existence, there were almost 5,000 people from 60 countries who fought for the movement. The core military formations varied in their numbers and at times amounted to up to 30,000 people. Together with the added paramilitary groups of like-minded people, the total number reached 70,000. At present, the number of formations is smaller and the core of the grouping, according to the estimates of the General Staff of the RF Armed Forces as of August 2017, consists of up to 15,000 men. Together with units of radical Islamists from other groups, it amounts to a total of 25,000. The armament of the movement consists of small arms, artillery and tanks seized from the SAA, from various anti-Assad forces, and equipment received from foreign sponsors from the Gulf countries through the jihadist movements with direct or indirect US assistance. In addition, according to reports, the movement has chemical weapon reserves. In December 2012, at the SYSACCO chemical production plant (30 km east of Aleppo), the al-Nusra units captured about 200 tons of chlorine. In May 2013, Turkish special services arrested insurgents of al-Nusra on the border with Syria for attempting to acquire sarin components. There are other reasons why al-Nusra began to act under a new name. First, it allows sponsors and leaders of the movement to avoid sanctions, since al-Nusra periodically gets on the “Consolidated List of Legal Entities Affiliated with or Associated with al-Qaeda Organization”, compiled by the UN Security Council. Updating the list, in light of objective reasons, is not keeping up with the evolution and expansion of al-Qaeda and its subsidiaries. Second, it is more convenient for Western special services to deal with groups not listed on the list of the UN Security Council and/or on the American or European list of terrorist organizations. Instead, they prefer to deal with “rebels” who declared their secession from al-Qaeda. On January 28, 2017, Jabhat Fatah al-Sham conducted another rebranding and was named Hayat Tahrir al-Sham (Organization for the Liberation of the Levant). This coincided with increased pressure on opposition groups in Syria and with a turning point in the Syrian war – the liberation of Aleppo. The military defeat near Aleppo, where Jabhat al-Nusra lost the bulk of its most trained fighters and much of its technology, was a turning point in reducing its influence. Military successes in the first years of the civil war declined to the point where, starting from 2014, the movement started to systematically weaken and accept “moderate” groups, which represented secular and national opposition. Participation of various groups of “moderate opposition” in the Syrian settlement under the patronage of Turkey, Iran and Russia led to a “split” in the ranks of these groups, which significantly weakened their position in the country. In this respect, the case of the Jaysh al-Islam movement can serve as a prime example. Since the movement formally participates as a group and represents the “moderate opposition”, it had to sever its ties with HTS. In practice, the situation is quite different. Jaysh al-Islam has several regional branches: Eastern Ghouta, Eastern Qalamoun, Daraa, and Idlib. Therefore, one can make the disappointing conclusion that the real influence of the Astana format on the situation in Syria is of much significance than originally thought, and the format is not very effective. Statements of the high-ranking officials of the Russian Foreign Ministry about successful negotiations are not accurate. To date, the moderate opposition does not want peace. It continues fighting, repeatedly delays negotiations, and awaits the intervention of other countries. The most extensive zone of de-escalation is located in northern Syria. It contains the province of Idlib, as well as the bordering northeastern parts of the province of Latakia, the western provinces of Aleppo and the northern regions of the province of Hama. It is worth noting that the province of Idlib is one of the most problematic. It is here that the main forces of the terrorist organization Jabhat al-Nusra / HTS are based, and it was here that the Syrian authorities brought militants and members of their families from Aleppo. Meanwhile, in the zones controlled by radical Islamists, Hayat Tahrir al-Sham blames the “moderate” opposition, for abandoning the war against the Assad government and entering into peace agreements. At the same time, the movement, aside from fighting battles against the SAA, is actively engaged in attacks against factions of the “moderate” opposition. Al-Qaeda, as the lead organization which promotes the idea of ​​ultra-radical Islam, is in financial crisis. It receives less and less financing from sympathetic individuals and from so called charitable foundations, to carry out its terrorist activities. This necessitated some optimization of costs. The movement had to change its tactics and constructed a new model, aimed at interacting with self-sufficient extremist organizations which do not require support from the lead organization. In this format, al-Qaeda plays a dual rule. First, it acts as a military adviser and mediator for radical Islamist groups. Secondly, it sends authoritative clergymen to various war zones. Al-Qaeda also provides local groups with their own schemes for the transfer of funds, facilitates the creation of enterprises, and provides information to support local organizations. When Aleppo was captured by government troops in late 2016, the appearance of HTS signaled a new phase of restructuring of the radical opposition in Syria. Yet another attempt to rebrand was nothing more than a formal effort by al-Qaeda to dissociate itself from its supporters in Syria, as well as its desire to withdraw moderate Islamists from the negotiation process on the future of Syria in Astana. The leadership of HST wanted to overpower and if that failed, to destroy the entities that are part of Ahrar al-Sham. They sought to become the single center of Sunni militarism in Syria. This caused a split among the opposition, and the most radical of its representatives moved to the newly created Hayat Tahrir al Sham, which marked the beginning of a conflict between the two largest groups in Idlib. In August 2017 a conflict arose between the local city council of Idlib and the General Administration for Services, which is connected with HTS. The latter began the process of making unilateral decisions. The General Administration for Services issued circulars for local councils, informing them that it was the only body with the authority to monitor their work and required the transfer of the relevant council departments to the specialized agencies of the movement. In particular, this affected services which supply water and bread as well as transport. The city council rejected the request and on August 28, 2017, HTS units stormed the city council building of Idlib and ordered all those who disagreed with the policy to leave the building. In this way radical Islamists gained control over administrative services of the city. Hayat Tahrir Al-Sham also conducted operations against smaller militant groups, who then sought support from Ahrar al-Sham. For instance, the group “Jash Mujahideen” was attacked by terrorists of Hayat Tahrir al- Sham in January 2017. At this time the radical Islamists seized warehouses with weapons. After that, part of Jash Mujahideen’s forces were forced to join Ahrar al-Sham, while the other part joined HTS. Be that as it may, year after year HTS leadership adamantly follows its goal – the unification of all jihadist organizations in Syria under its leadership and the construction of the emirate. Radical Islamists are strongly established in the province of Idlib, and will do all they can to prevent the creation of a de-escalation zone. The following conclusions and analysis can be drawn from all the information presented thus far. After the defeat of the IS in Iraq and Syria, the most effective group that stands to oppose Assad’s regime remains Hayat Tahrir al-Sham. This movement has the necessary number of trained militants in its ranks to confront the government army, it has a rather positive image when compared with the IS, and advocates the idea of opposing “the betrayal of the interests of the people of Syria.” Meanwhile, the conflict between the factions within the movement itself, the conflicts with other armed groups, the reduction of logistical support, and problems with financing, all lead to a gradual degradation of HTS. We can conclude that to overcome these problems, the leadership of the movement may hold another re-branding. This conclusion is based on the fact that, at a turning point in its existence, al-Nusra / HTS is able, in words, to abandon the ideas of radical Islam in order to preserve their ability for an armed struggle, and to establish itself as a legitimate and independent force in the ongoing war . It seems that there is a desire on the part of HTS to become a Sunni version of Hezbollah. In this effort, the group could receive support from some concerned foreign parties. The clashes and reluctance to compromise with the moderate opposition, continued conflict with the increasingly capable government army, and the never ending struggle for resources – have all reaped poor results for the group, and highlight the poor choice of strategies adopted by HTS thus far. Without external help, HTS will not be able to confront, for any extended periods of time, the SAA and the Russian Aerospace Forces. Your imaginary fiction “Allah” is not God, creator of the universe and all living things. Well God is God. However the Shemitic ie(Arab/Jews) have always twisted what God is to serve their purpose of exterminating all Hamitic and Japetic tribal peoples. Heck, Shemites even killed God Himself just because it turned out God was not a Shemitic-supremacist-bigot lol. Jesus consented to die on the cross, offering himself a propitiation for sins of his elect, the Christian church. There was no power to compel that sacrifice. Neither the Shemitic nor anyone else have the power to define God. God reveals himself to his elect, the Christian church through his written and living word, the Bible. 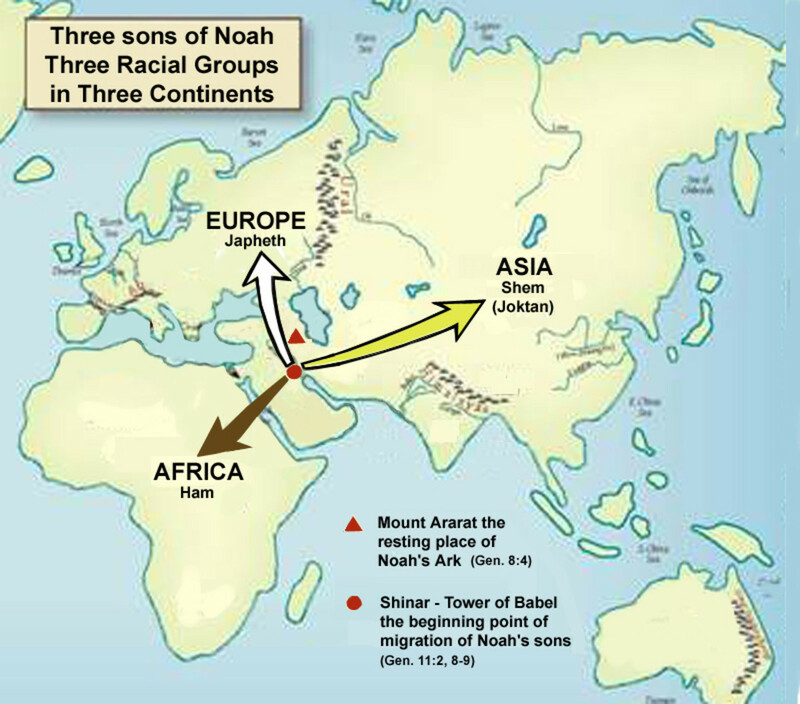 Assyrians, Arameans, Elamites and Akkadians have been “Semitic” too. Did they want to conquer everyone? Why does one such as you go against the will of the people and God your days are over in this world next to fall is KSA, Qatar,Kuwait,Bahrain,UAE and Israel all are destined and willed by God to fall why stand in the way. Once you build something new rather than change these structured states by creating real democracy and unification of Palestine simple as that as US influence wanes in the region so do these proxy states. You are dreaming of the demise of Israel and the demise of those Gulf states. This will not happen even when you ascend to God. This does so unfortunate as some don’t seem to see this such as like you but then again you are too close to it. God has nothing to do with you ascending or not so why was that even included. al Scam $$$$ + ££££ Nusra front and rere ……. sadly departed R.I.P. them apart. Nusra Cuzins were the most organized militant group in syria Besides their ISIS Bruddas. and were better suited to fight than their FSA Counterparts. Discipline is the key to making an army. The U.S.,IsraHell, The UK, Wahhabistan, France & NATO, Training, Supporting, Financing… Forming Your: Intelligence, Air-Force, Logistics….THAT IS THE KEY TO FORMING AN ARMY…. Also having Those allies cuz.